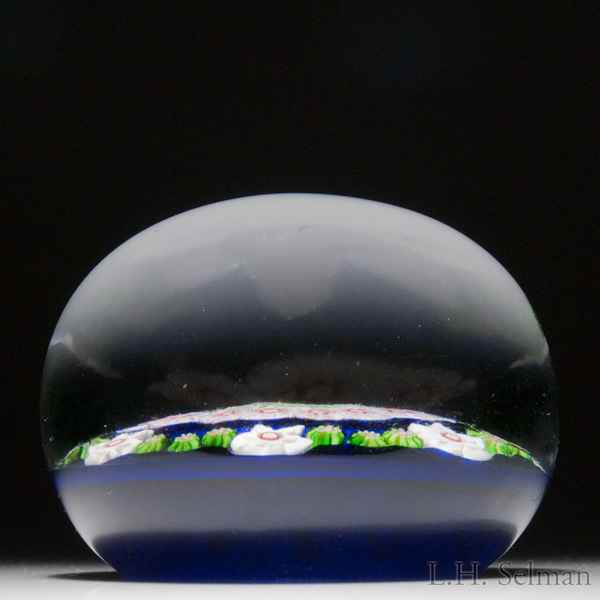 Antique Clichy spaced concentric millefiori on opaque blue ground paperweight. A central pink and green rose is ringed by two concentric circles of green-centered, pink pastry mold canes. A spaced ring of trios of moss green pastry mold canes interrupted by large white floret canes frames the design which is achieved against an opaque cobalt blue ground. Diameter 2 1/2".